What Is A Blow-Off Valve And What Does It Do? Once all the rage among wannabe tuners, the blow-off valve has been a controversial modification for years, but what does it actually do? Noise is a key avenue down which we can explore our love of cars. The variety and character of sounds you hear at a good car meet, from a classic Subaru flat-four burble to the furious razz of a well-sorted rotary, there are so many ways to get your fix. Blow-off valves, or dump valves, are divisive. The premise is simple. In a turbocharged car, the system builds boost pressure to force extra air into the cylinders. The usual combustion business follows, with a greater amount of fuel/air mixture for bigger explosions and more power. But if the driver lifts off while the turbo is boosting, that air pressure goes from essential to potentially damaging in a matter of milliseconds. When you ask the turbo to change states of operation so quickly it places a huge amount of strain on the moving parts within it. Lift right off while boosting hard, and although air flow through the pipe reduces to almost nothing the turbo is still spinning and could enter ‘surge’ conditions. We all know turbo flutter, right? That’s the sound made by a turbo under surge strain, and although it sounds fantastic it’s actually no good for the mechanicals. Here’s where bypass or diverter valves come in. Any modern turbocharged engine has to have one, usually activated by vacuum and designed to recirculate that excess air pressure to a pre-turbo point in the system, thus recycling it, balancing the pressure and continuing the air flow into the turbo. But they don’t add anything to the audible charisma of the car. If we’re being honest, an efficient bypass valve only makes a car more boring. They are technically better than than blow-off valves, but more complicated to engineer in. Blow-off valves were developed as a solution to compressor surge, just like bypass valves, but they were easier to fit because they were only ‘attached’ at one end. Fitted between the turbo and the throttle body, as close to the throttle body as possible to ensure the fastest response to a surge situation, the humble dump valve simply exhausts the excess air pressure into the atmosphere, making an addictive hissing noise you’ll have no problem hearing from the driver’s seat, although the volume of the burst should be proportionate to how hard the turbo is boosting. 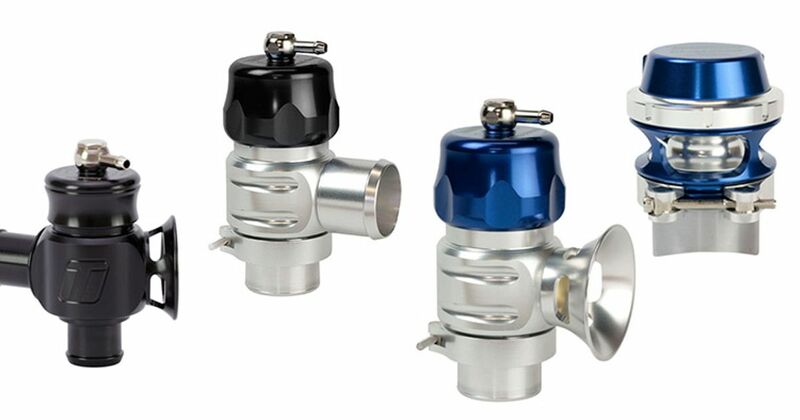 Some higher-quality blow-off valves will even let you choose how much air is vented to atmosphere and how much is recirculated back into the turbo. These clever little slices of naughtiness aren’t all fun and games, mind you. If they’re fitted downwind of a mass air-flow (MAF) sensor in the system then the MAF sensor won’t account for the lost air and will keep sending incorrect readings to the fuel injection system. After every hiss of the blow-off valve, the engine will over-fuel slightly – at least, if you’re still on the throttle at all. That can lead to stuttering throttle response, coked-up spark plugs, backfiring or stalling. Set up badly it’s like any other mod – it’s better not to bother. Set up properly, a blow-off valve is a neat way to add some aural character to your car without giving your insurers a heart attack.